Compatible Cartridge For Epson T0551 Black Cartridge. This compatible Black ink cartridge is an "individual" single colour cartridge that contains high quality ink. Individual cartridges are part of a cartridge set and allow individual replacement of "empty only" cartridges. Compatible cartridges are a cost effective ink cartridge alternative to manufacturer’s ink cartridges. Using good quality compatible ink cartridges allow you to reduce your printing costs without loss of printing quality. Our cartridges are produced to a high standard using quality materials to ensure an easy to use and hassle-free experience for our customers. The excellent ink formulation allows for vibrant and sharp colours each and every time that you print. The cartridges are the XL (high capacity) version cartridges and use the latest chips where applicable. Compatible Cartridge For Epson T0552 Cyan Cartridge. Compatible Cartridge For Epson T0552 Cyan Cartridge. This compatible Cyan ink cartridge is an "indiv.. Compatible Cartridge For Epson T0553 Magenta Cartridge. Compatible Cartridge For Epson T0553 Magenta Cartridge. This compatible Magenta ink cartridge is an.. Compatible Cartridge For Epson T0554 Yellow Cartridge. 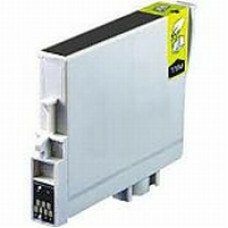 Compatible Cartridge For Epson T0554 Yellow Cartridge. This compatible Yellow ink cartridge is an "i.. Compatible Cartridge For Epson T0555 Cartridge Set. Compatible Cartridge For Epson T0555 Cartridge Set. This compatible ink cartridge set is a 4 colour..